Kris Meeke and Elfyn Evans will compete in the World Rally Championship next year, driving for Citroen and Ford respectively. They will be the first Brits who could challenge for the title in over a decade. The last great era of British drivers in the WRC was the Burns vs McRae wars of the late Nineties and early Two-thousands. That was forced to close at the end of the 2003 season when the Citroen team dropped McRae and Burns showed the first symptoms of the brain tumor that would ultimately take his life in 2005. McRae made three more appearances, twice for Skoda in '05 (a late clutch failure denied him a podium in Australia) and a single outing in Turkey in '06, driving a Citroen (again, he retired). He was killed in a helicopter crash in '07 with his son and two family friends. Since then other British drivers have competed in rallying's top flight, but none have ever been in a position to fight for wins and titles. Now we have two who should be able to. Northern Irishman Meeke has finally caught his big WRC break, being signed to lead Citroen's attack on the championship. He should have been signed by one of the big teams years ago, but lack of budget meant he was never really in the frame. It looked like he got the break in 2011 when he drove Prodrive's promising Mini John Cooper Works, but BMW pulled the funding rug from under the project. He was taken on by the PSA Group as a development driver for its various Citroen and Peugeot projects, which led to two outings with the factory Abu Dhabi Citroen team in 2013. He showed huge speed in Finland and Australia but crashed out on both occassions, a theme throughout his career. But Citroen was clearly impressed with the 34 year-old's performance and potential regardless. After all, the security of a full-time drive with Peugeot UK resulted in claiming the 2009 Intercontinental Rally Challenge. Hopefully he can perform a similar turnaround driving his new DS3 WRC. While Meeke has been on the fringes of the WRC for years, Welshman Evans is a complete newcomer, driving for the Qatar M-Sport Ford team. 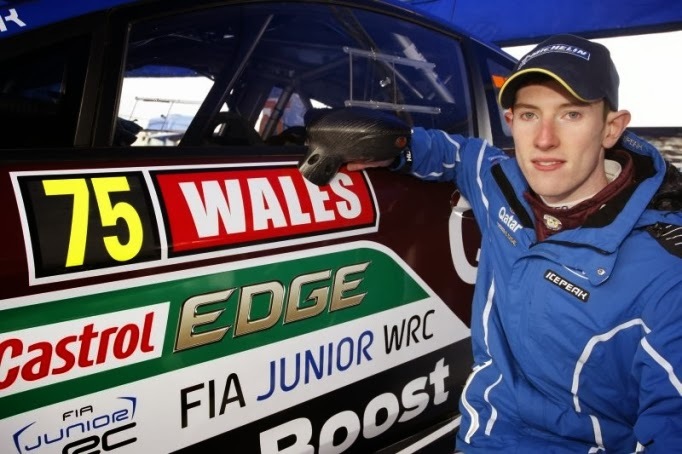 The son of 1996 British rally champion and sometime WRC driver Gwyndaf Evans, 24 year-old Elfyn claimed the 2012 WRC Academy title driving a Fiesta R2. That led to a funded drive in a four-wheel-drive Fiesta R5 in the second-tier WRC2 category during 2013. He had to play second fiddle to the dominant Robert Kubica, but took an emphatic victory on the season-closing Wales Rally GB. 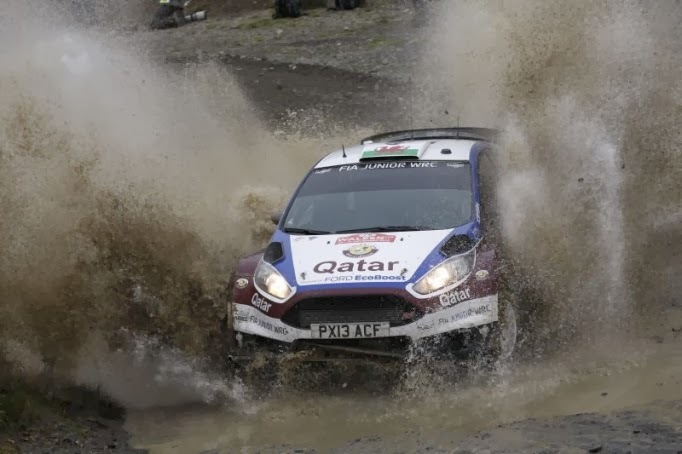 A single drive in Italy in the full-fat Fiesta RS WRC normally used by Nasser al-Attiyah netted an impressive sixth place. Though Meeke and Evans will be driving cars with the speed to claim the championship (indeed the DS3 has already won two), they will be in for a very tough fight. Volkswagen and Sebastien Ogier steamrollered the WRC in 2013, winning 10 of the 13 events, Ogier taking nine of those. Ford had to settle for second, while Citroen looked rudderless without Sebastien Loeb. Few would bet against VW continuing its form into 2014. Meeke knows the Citroen team well and is apparently very popular with the mechanics. But it will still be a challenge to galvanise the team around him, whilst finding consistency in his driving. At least his teammate, the sporadically fast Mads Ostberg, is unlikely to pose much of a threat. However, Citroen's resources will be split between the WRC and its new World Touring Car Championship program in 2014. Will rallying suffer with favoured son Loeb driving for the WTCC team? Time will tell. Evans faces less pressure as M-Sport Ford's number two driver. 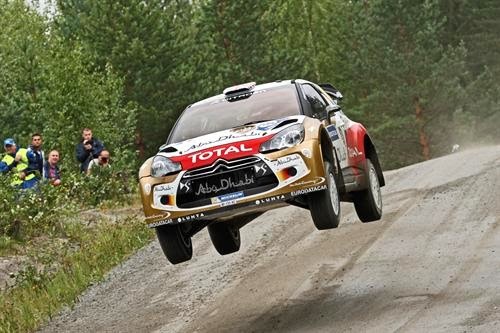 Team leader Mikko Hirvonen returns to the Cumbrian squad after two seasons with Citroen. Evans' pure speed might outstrip Hirvonen's, but the youngster's consistency is unproven. There's also a big unknown from within Ford's own ranks, as F1 refugee and 2013 WRC2 champion Robert Kubica will contest a full season in a Lotos-backed Fiesta. Kubica's speed is undoubted, but he is still only getting used to gravel and has never competed on snow. He could prove devastating as he gains more experience. Evans will have to work very hard to gain the upper hand in the fight to be fastest Ford. Both Meeke and Evans will face huge challenges both within their own teams and in the battle to overcome the might of Volkswagen. But whatever happens on the stages, the United Kingdom's rally fans now have two drivers who will battle at the front to cheer on. That's a victory in itself.